Today’s Indy Star has an article from Jon Murray and Melanie Hayes on the Indianapolis Mayor’s race with a few interesting points. Clearly Mayor Greg Ballard is running for re-election. He is expected to provide more details at the campaign event next Saturday but he believes he has a strong record to run on. We’ll have full coverage of that announcement. Today’s column, however, had more interesting information on the Democrats. 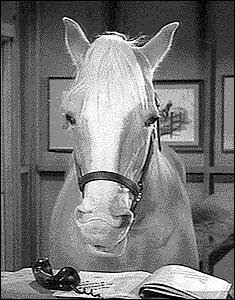 We normally don’t agree with anything Mister Ed says but he is usually a better politician than this. The races are completely different and a year apart. You cannot judge the political climate of the next election year in early December of the prior year. Turnout is completely different in a municipal election than an off-year election and the prosecutor’s campaign was plagued by the misdeeds of the current Marion County Prosecutor Carl Brizzi. Frankly, if the Democrats had not won that race it would have been a completely wasted opportunity. We could write about this all day but we’ll move on for now. The other interesting tidbit is that Melina Kennedy will leave her job at Baker and Daniels at the end of the month to work full-time on her campaign for Mayor. We’ll be keeping an eye on how Kennedy spends her time once she is free of her day job. Will Melina disclose the clients she lobbied for at B & D? Will she also refuse to let them do business with the city if she’s elected? Interesting comments about Ed. Funny thing is that he kicked your butts and still has a job.Tom John does not. What does Kic Rock sing;;;;; It aint braggen if you can back it up.Obvisuly the person who writes this blog was not with Ballard when he was running for Mayor.Once he was elected,he gave his friends the heave ho and went for the cash. We’ll see how Ed is doing this time next year after guaranteeing a win in the Mayor’s race. It just isn’t a smart thing to say. I remember Broadway Joe doing the very same thing. He won. Sir, I understand that you are fresh out of the 25th floor, but pray tell.How will the Mayor win? His own supporters are jumping the ship as fast as they can. The big money is not happening and his political advisor is sitting on a fence..Again,Pray tell, how will he win. But,nice try,your spins are quite entertaining. Once again, the Mayor treats us like fools.Mr. Vane, do you real;y think that we are stupid???? ?…well maybe we are.We supported the Mayor in the last election.He basicly told us to screw off once he was elected. Spin that one ,please. Bleeding Blue, again with the assumption on who we writes this blog. We aren’t fresh out of the 25th floor and we are not Robert Vane. Let’s focus in here. We’re just saying, don’t be mad when we say we told you so and post this exact post the day after the election. We’re not saying we know how the race is going to go. We’re saying it is impossible to and making claims like you can will something to happen is a stupid idea. We’ll all have a better idea of the financial status of this race in mid-January once the reports are due. Until then, everything is rumor but we’d love to know how you are so tied in to know where fundraising is for either of the candidates. The Mayor has been strong thus far for sure. We’re also not sure what political advisor is sitting on the fence. Also, not giving you a job is not telling you to screw off. Well then why remain anonymous, Robert Vane or whoever you are? You are only fueling speculation that you are a bunch of insiders. Mainly because it is our blog and we can run it how we want. We feel it is better for all of us to be able to write without catching any flack from anyone for our comments. It gives the readers our honest opinions without filters and that is kind of the point of blogs. We aren’t particularly interested in the speculation. We just don’t want others blamed for our commentary.